Media Foundation360 proudly announce that Ms Sanna Ejaz and Abdul Salam Afridi has won three Agahi Awards 2017 for its publications News Lens Pakistan and fortnightly Truth Tracker (printed). 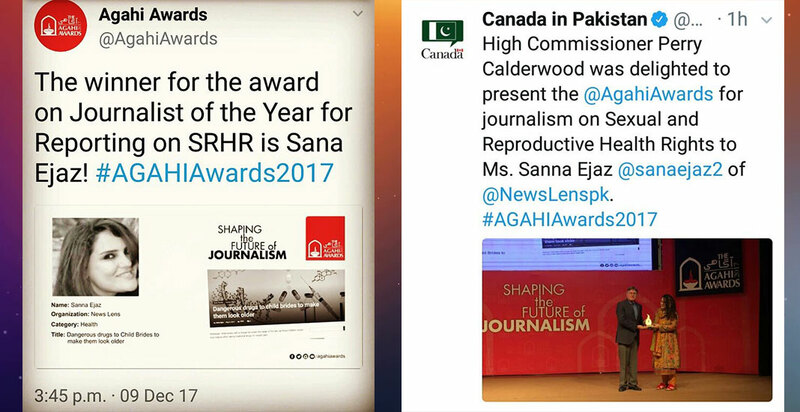 Sanna Ejaz is the winner for award on Journalist of the Year for reporting on human rights for her story “Dangerous drugs to child brides for older looks”. 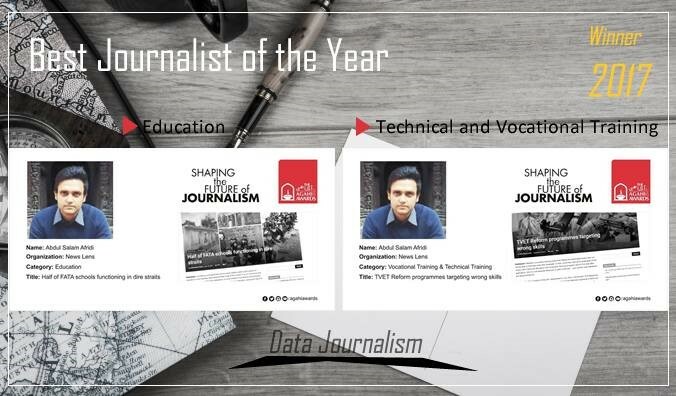 The Team MF360 and News Lens Pakistan/Truth Tracker congratulates Sanna and Afridi for their achievements and wishes them best in future’s reporting. News Lens Pakistan, since its inception in 2014, has won six awards. Two were won by its reporter Salman Yousafzai in 2016. The awards were conferred upon him by IBA and Thomson Reuters respectively for highlighting health and security issues in Khyber Pakhtunkhwa. In 2015, A B Arisar, a journalist from Umer Kot, Sindh, had won Agahi Award for reporting on water issues in Sindh.